Our practice is very busy. I am performing approximately 3 to 4 cases per week. This allows myself and my office staff to take good care of our patients. 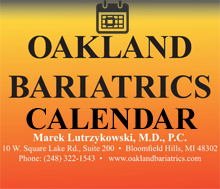 I first started to perform the duodenal switch during my residency in 1993 and have been continuing bariatric surgery in private practice since 1996. Approximately 750 operations have been performed. Through the years we developed new techniques and a new approach to this procedure continuing to make it more successful. Our understanding of the many aspects of this surgery are now more profound allowing us to be more sufficient and able to provide safer care for all patients. Of course the major principles of the surgery developed by Douglas Hess, M.D. are still being utilized today.